upstream | downstream | Map You are looking at the Waterloo Bridge across the Thames. 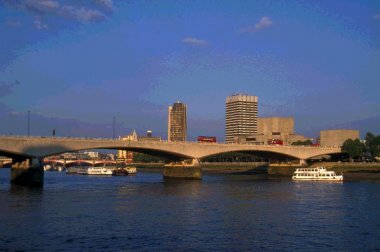 Waterloo Bridge was completed in 1939. It shares it's architect, Sir Giles Gilbert Scott, with telephone kiosks and Liverpool Cathedral.